Anxiety disorders affect over 40 million adults in the USA annually. Most conventional medications carry life threatening side effects causing more anxiety sufferers to turn to alternative treatments. Anxiety is a normal part of every human’s life. Moments of anxiety can occur at any given time; before taking a test, meeting with a superior at work, etc. It is when anxiety dominates one’s life, making it difficult to function normally, that it becomes a disorder. There are many types of anxiety disorders, including generalized anxiety disorder (GAD), obsessive compulsive disorder (OCD), or post-traumatic stress disorder (PSD). Panic attacks are also a form of anxiety disorder. Acupuncture is an ancient Chinese form of healing. It is also recognized as a valid complimentary alternative medicine field. The word "acupuncture" actually means "needle prick." Individuals with an anxiety disorder may wish to use acupuncture along with conventional medications. However, unlike conventional medications, acupuncture carries with it no adverse side effects. Proponents of this type of alternative method of healing maintain that balance in a person’s life force, Qi, is the key to optimum health. When Qi is out of balance, illness, both mental and physical, have an opportunity to strike. The aim of acupuncture is to restore balance and harmony to the Qi and therefore restore health to the body and mind. The experience of acupuncture, though it looks and sounds painful, is actually a quite pleasant experience. The needles used are small and are sterilized. When the needle is inserted, there is usually minimal sensation such as a slight pinch. A treatment session can last from 45 minutes up to an hour and a half. 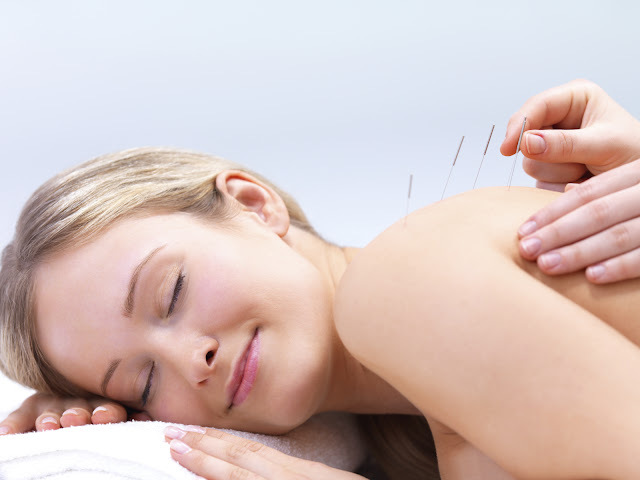 Overall, a session of acupuncture should be relaxing and exhilarating. After assessing a patient’s needs, the practitioner will then begin treatment. Tiny acupuncture needles are inserted into the skin at key points around the body. These key points correspond with various mind and body issues; lungs - grief, heart - joylessness, kidneys - fear, liver - anger. The acupuncturists’ goal is to treat the mind, body, and spirit by restoring harmony through the 14 channels of Qi.